This customer was looking to keep the 150 year old historical look to his home while renewing it as well. They wanted to keep the 3" width but also wanted a seamless corner look. Our team used Certainteed's Vinyl Siding Super Corner product to complete the look. The new siding color was carefully selected by the homeowner with guidance from one of our skilled professionals. The curb appeal of the home was definitely taken to new heights. This homeowners second floor gutters were starting to pull away from the house and cause major drainage problems. We re-attached them and created a slightly varied pitch in order to ensure proper drainage. Their home is safe and sound once more thanks to our expert help! We need 4 areas of soffits where one roofline meets another roofline secured to prevent animals from gaining entry. Please call me. Looking for estimate on gutter install. Have been in our house about two years and when it rains water runs off our roof and right over the gutters and gathers at our house foundation. Over the next few days the water sits and seeps into our basement. I feel like the first step to fixing this problem is to have someone come out and look at our gutters, they don't catch any water. We are interested in replacing all of the siding, soffitt, fascia and gutters on our home. When could someone help get rid of my roof ice dams/snow? Shannin G. Brookside Glen Drive. "Jim & Chuck did a great job installing. The..."
"Recomended by a friend and couldn't be happier with the..."
"Very Small Maintenance job. Rep showed up on time and..."
If you're looking for quality roofing, siding, and window services for your home, Stan's Roofing & Siding is here to help. We're the local experts for exterior home improvement in Tinley Park and nearby, and we can provide you with repair of installation of roofing, siding, and windows. 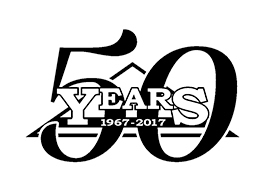 Stan's Roofing & Siding has been serving Tinley Park since 1967, and our decades of experience make us one of the most trusted names in the industry. Our experienced professionals will take the time to work with you to ensure you get exactly what you need for your home and provide a quality installation. Siding installation is a very popular home improvement project for homeowners looking to improve curb appeal and property value. We install low maintenance, durable vinyl and fiber siding that will make your home look great and provide excellent weather resistance. If you're interested in roofing, siding, or window services for your home, call Stan's Roofing & Siding today. We offer free estimates in Tinley Park and nearby! After repairing the section, the siding was reinstalled and sealed properly. Have a small leak from roof that could be caused by stack or air vent. Drip is 1 a second. New roof installed 2015. Need repairs done before winter and then a new roof next year. Would like to have same company do both. Looking to replace the siding on my house. Currently have black cedar wood paneling siding. I'm interested is doing the vinyl Dutch lap-grey siding. Also be looking to turn a kitchen window into a half window. My wife and I will be eventually be rehabbing the kitchen.look forward to hearing back from you. Our gutters are 10 years old, they leak,are not pitched or attached right.The downspouts get clogged. Two service doors on my garage that need to be replaced that are capped in aluminum. Inquiring about replacing the aluminum cap and possibly the doors as well. Thank you. Looking to have our aluminum siding replaced with Vinyl or Cement Board siding. Your pictures online look like you do great work. I think you have done several home in my area. They all look awesome!